Lone-wolf terrorists like Omar Mateen present a different kind of threat than ISIS. 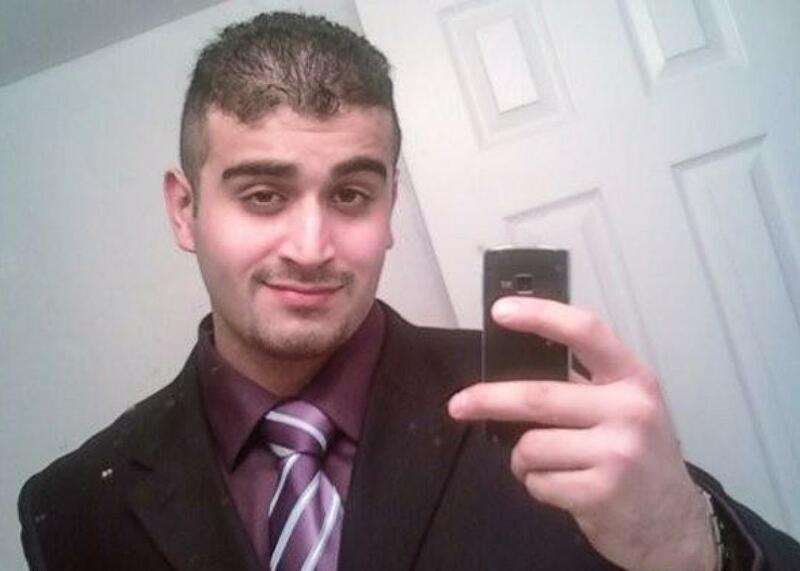 What does it mean that the Orlando shooter pledged allegiance to ISIS? The attack on the Pulse nightclub in Orlando that killed 49 people is not only the deadliest terrorist attack in the United States since 9/11, it is more deadly than all the other jihadist attacks on U.S. soil since then combined. * But even though shooter Omar Mateen apparently pledged allegiance to ISIS in a last-minute 911 call, the assault is far from a classic ISIS strike, and we should be wary of conflating two very different kinds of events. Initial reports indicate that Mateen is a lone wolf, inspired by a terrorist group’s ideology but not under its operational control. Recognizing the difference between “ISIS inspired” and “ISIS directed” attacks is vital. ISIS-inspired attacks are more likely to be amateurish, and indeed the jihadist record of attacks in the United States since 9/11 but prior to Orlando is thankfully poor. The horrific nightclub attack shows what a loner with the right weaponry can do, but when ISIS directs an attack, as it did in Paris in 2015, the results are likely to be even bloodier. In Orlando, as in the December San Bernardino shootings, the attack seemed to mix personal motives with an ISIS brand. * Because lone wolves operate on their own, their personal agendas often mix with those of the terrorist group they claim to serve. In San Bernardino, the killers struck at a holiday party in the county health department where one of them worked, not exactly the center of the crusader effort to dominate the Middle East. Initial reports suggest Mateen was homophobic: his father claimed that Mateen became upset when he saw two men kissing. Although ISIS hates gays and its Twitter supporters are already celebrating their deaths, it pretty much hates everyone—Christians, Jews, Westerners in general, Shiite and other Muslim minorities, and Sunni Muslims who don’t agree with it. Homosexuals are not particularly high on this list, and indeed ISIS propaganda in the West has not focused on them heavily. Orlando may be another variant, then, of what the French scholar of Islam Olivier Roy has called the “Islamicization of radicalism.” Islam is used by an individual already on the edge of violence to justify his actions and give him status to at least one audience, as indeed has already happened to Mateen. Details on Mateen’s background are still trickling in, but his ex-wife claimed he was abusive in their marriage and not particularly zealous in his faith. In the ISIS-directed Paris attacks, we saw multiple attackers working in teams: The terrorists hit guarded targets like the Stade de France where the French president was watching a soccer match as well as “soft” ones like cafés and restaurants. The final death toll of 130 suggests their effectiveness. Some of the plotters were even able to lie low and were linked to the attack in Brussels several months later. In both San Bernardino and Orlando, however, the suspected shooter died as part of the response to the attack, diminishing the psychological effect that occurs when an active shooter is still out there plotting. These attacks that are merely inspired by ISIS sow terror but they are less impressive in their ambitions not only than Paris-style attacks but also attacks attempted by al-Qaida sympathizers in the United States. The 2009 Fort Hood shootings killed soldiers at a military base, a symbol of U.S. power. In 2010 Faisal Shahzad, who trained in Pakistan and claimed inspiration from an al-Qaida–linked cleric, tried to bomb Times Square, striking an internationally recognizable target at the very heart of New York City, which had witnessed the worst terrorist attack in history in 2001. * Such targets represent U.S. power and culture, and striking them is recognized as a direct challenge to American power. They are also harder to hit since their symbolic or military importance makes them better defended. The most recent ISIS-inspired attacks do not show any similar logic linked to the organization’s objectives but rather seem more the shooter’s own twisted attempt to make his acts appear heroic. Yet the prevalence of “directed” versus “inspired” terrorists is directly linked. If ISIS is winning overseas—as it appeared to be at its peak in 2014, when the territory under its control was growing, and its enemies routed and dispirited—then the organization’s stature grows and it is better able to attract and inspire recruits and supporters. More practically, if it is able to run large training camps without at most limited interference, as it could do before the U.S.-led intervention in Syria, then it is able to churn out large numbers of skilled gunmen and trained terrorists. As ISIS has lost territory in both Iraq and Syria, the number of foreign fighters flocking to fight under its banner has reportedly plunged. This good news carries a downside, however. For years, the group urged foreign volunteers to come to Syria to defend its self-proclaimed Islamic State. Its propaganda noted, however, that if would-be supporters can’t go to defend the group in Syria, they should act in their home countries and kill disbelievers wherever they can. ISIS also regularly executes foreigners it fears it may be spies, and it urges those whose loyalty is in doubt who are in the West to strike there to prove themselves. Stopping lone wolf attacks is exceptionally difficult. When an individual travels abroad to fight in Syria or is in contact with ISIS handlers, U.S. intelligence can pick up on the communication and interaction. And by going abroad to fight for a jihadist group, an individual is committing a crime and can be arrested. Lone wolves, by definition, lack such links. The San Bernardino attackers were not on law enforcement’s radar screen before striking. And given permissive U.S. gun laws, even someone like Mateen who allegedly abused his spouse and was repeatedly investigated by the FBI, could legally purchase an semi-automatic weapon because he had not yet openly supported a terrorist group. * The FBI is already aggressive against potential terrorists to the point that civil liberties groups criticize it for entrapment and otherwise using stings too aggressively. Because even a struggling ISIS retains its appeal and at least some of its supporters will stay off the radar screen, lone wolf attacks are likely to continue. In addition to continuing aggressive law enforcement efforts, the best thing U.S. leaders could do is to promote a sense of resilience and avoid demonizing Muslim Americans, recognizing that even as we mourn the tragic deaths of so many of our countrymen we must ensure that someone like Mateen is portrayed as hateful and pathetic, not as a representative of a broader threat among American Muslims or part of some grandiose ISIS plot.